My last few articles exploring Epcot's World Showcase featured pavilions that I have spent little time in. Despite being both Italian and American, I wholeheartedly admitted that we just don't spend too much time in the Italy pavilion or The American Adventure. That doesn't detract from their beauty or uniqueness in any way. They're just not two of the places that we've devoted much time to on our Walt Disney World jaunts. The next pavilion on our trip around the lagoon however is a different story. We've spent a lot of time in Japan over the years and there are essentially three main reasons for that. Two of them are my twin boys and the third is, of all things, Pokémon! Now, right off the bat, I'm afraid I might have lost some of you. Stick with me, because this article won't discuss the little Japanese phenomenon known as Pokémon. Indeed, it's not my favorite thing in the pavilion by any means. My boys however went through, as many tween boys in this country do, a Pokémon obsession. We typically travel to Disney in August. Their birthday is in July. This usually meant that one of their birthday presents from Grandma and Grandpa was a Disney gift card to take away with them on their trip. For several years, that gift card was brought directly to the Mitsukoshi Department Store in Epcot's Japan pavilion, more specifically straight to the Pokémon section housed in the front of said store. Though I found the whole "Gotta Catch Em' All" obsession a little on the annoying side it brought me to the Japan pavilion quite a lot over the years. We would arrive in Japan, they would make it as far as the Pokémon area of the shop, and the rest of us would spend time exploring while they agonized over which figures, books, cards, or plush to purchase. If it weren't for Pokémon, I probably wouldn't have explored this pavilion quite as much as I did, and I'm really glad that I did. Japan is one of my most favorite spots in Epcot. It's a wonderful pavilion chock full of beautiful landscaping, impressive architecture, delicious food and drink, and fantastic shopping. In this writer's opinion, it's everything a World Showcase pavilion should be. So, let's take a closer look at my Top 5 things to see in Epcot's Japan Pavilion. The ironic thing about the Japan pavilion is that despite spending the amount of time that we have there, we have yet to eat in either of the main sit-down restaurants, Teppan Edo and Tokyo Dining. Yes, I know, we're missing out. These are Disney classics. How could it be that we haven't eaten there? Truth be told, we are surrounded by excellent Japanese restaurants here in New York, but it's just about never on our list of places to dine. We rarely eat it up here, so there never seems to be a reason to eat it down there. That said, I have thoroughly enjoyed a quick service meal at Katsura Grill. The food is simple and delicious, but it's mostly the atmosphere that draws me to this corner of the pavilion. 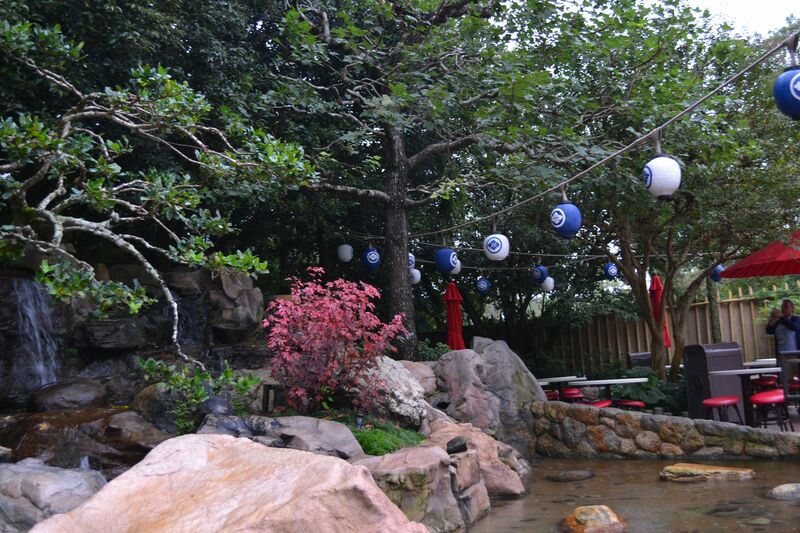 The outdoor seating for the Katsura Grill sits alongside this beautiful section of the gardens. Photo by Samantha Barry. The outside dining area is one of my all-time favorites anywhere in Walt Disney World. Sitting out there with a nice bowl of beef udon or the pork ramen and a cold Sapporo surrounded by the gardens, bamboo fences, and waterfalls is my idea of Epcot perfection and tranquility. It's even nicer at night when the lanterns are glowing. Here's a true Epcot hidden gem. Tucked way in the back of the amazing Mitsukoshi Department Store is a small counter where you can sample and purchase Japanese sake. Sake is an acquired taste for many, but it has become a favorite drink of mine. My sister-in-law, Miran, is Korean and the pitchers of Korean sake filled with cucumbers on each table at their wedding were—well, let's just say memorable. They single-handedly sent me on a quest to seek out and try different types of rice and plum wines whenever I could. Japanese sake is slightly different, and if you're interested in tasting and learning about a dozen or so brands at once, there's no better place than this rarely visited spot in Epcot. Follow the path straight back to the rear entrance of Mitsukoshi to find the sake tasting bar. Photo by Alex Stroup. The cast member's knowledge is extensive and as authentic as you can get. Their suggestion was the Kurosawa, and it quickly became my favorite. This represents what the true World Showcase experience should be about: learning about the food, drink and culture of another country straight from someone who knows firsthand. For years I wrote a series of articles here on MousePlanet about finding and acquiring all sorts of Disney stuff. I'm a collector and an accumulator of all things Disney. Here's a store where you'd be hard pressed to find anything with Mickey Mouse emblazoned on it, and yet it's always been one of my favorite Disney shopping experiences. The Mitsukoshi Department Store takes up the entire lower level of the main building in Japan. Photo by Alan S. Dalinka. Once again, this is the true World Showcase experience. What better place to learn about a culture than by visiting a branch of one of its oldest proprietors. The Mitsukoshi Department Store chain was founded in 1683 selling kimonos. Say that year again…slowly…sixteen hundred and eighty three. Could you imagine a place more entrenched in the culture of a nation than a business that's been operating there for more than 330 years? I could spend hours walking around this store. There's so much to see and do and it gives you a real glimpse into Japanese culture by exposing you to its fashion, housewares, artwork, food, history, and ingenuity. It's not what the average person thinks about when they think of a shop in a theme park, and that's the whole point. Much like other pavilions throughout World Showcase, Japan has an exceptional exhibit space that typically gets overlooked by the average guest. Tucked away in the back of the pavilion inside the White Heron Castle is this wonderful gallery showcasing traditional and modern Japanese works of art. 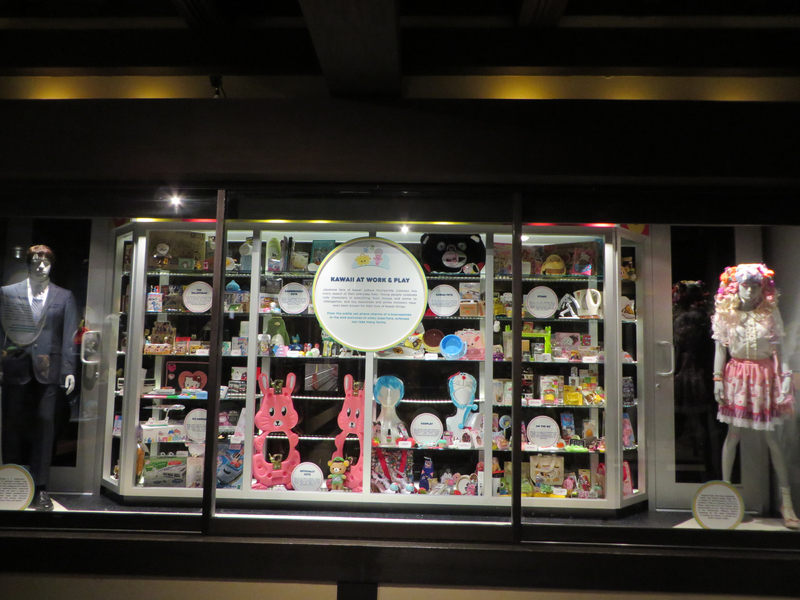 Over the years I've seen several different collections here featuring tin toys, the relationships between Japanese anime characters and Japanese folklore, and most recently an exhibit showcasing Japan's "culture of cute." As with all of the other World Showcase exhibits I've been to, this one both fortunately and unfortunately seems ignored by the average guest. Fortunate for me because I typically get to enjoy them pretty much by myself. Unfortunate because, I think many, many people are missing out on one-of-a-kind Epcot experiences because they are too busy rushing around trying to see everything and tick off all the major attractions. 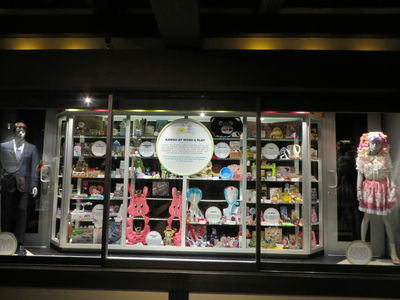 Examples of Japan's "cute culture" are displayed in the kawaii exhibit at Epcot's Japan pavilion. Photo by Alan S. Dalinka. I spent the better part of an hour enjoying the aforementioned exhibit that examined the links between popular characters in Japanese anime and their roots in Japanese folklore. I was describing the exhibit to my daughter and her friends as we were making our way around the lagoon afterwards and someone walking next to us was so intrigued by what we were talking about that they had to excuse themselves and ask me what it was and where to find it. They said it sounded fascinating and they had no idea it was even there. Once again, and I can't emphasize this enough, the true World Showcase experience is experiencing aspects of each nation's culture. Make sure you seek out these experiences to really get what World Showcase is all about. To me, the focal point of the Japan pavilion is not the stunning pagoda that towers over the square, nor the striking red Torii gate in the lagoon, it's the impressive and tranquil gardens that occupy the majority of space on the left side of the pavilion. The flowers, the trees, the bridges, the waterfalls, the koi pond, and the bamboo fences all come together to create a truly inspiring landscape and a place you won't want to leave anytime soon once you're there. The stunning Japanese gardens are one of the most inviting spaces in all of World Showcase. Photo by Lorree Tachell. Gardens play an important role in Japanese culture and are designed to reflect philosophies inherent to Japan's history. The small, yet impressive garden in the Epcot pavilion is an exquisite example of a traditional Japanese garden and really shouldn't be missed by anyone visiting Epcot. It's one of the most enticing and peaceful places on Disney property, and one of my favorite spots to stop, look, listen, and immerse myself in the surroundings laid out before me. Make sure to stay a while on your next visit. It'll do wonders for your disposition and that's just what its purpose is. 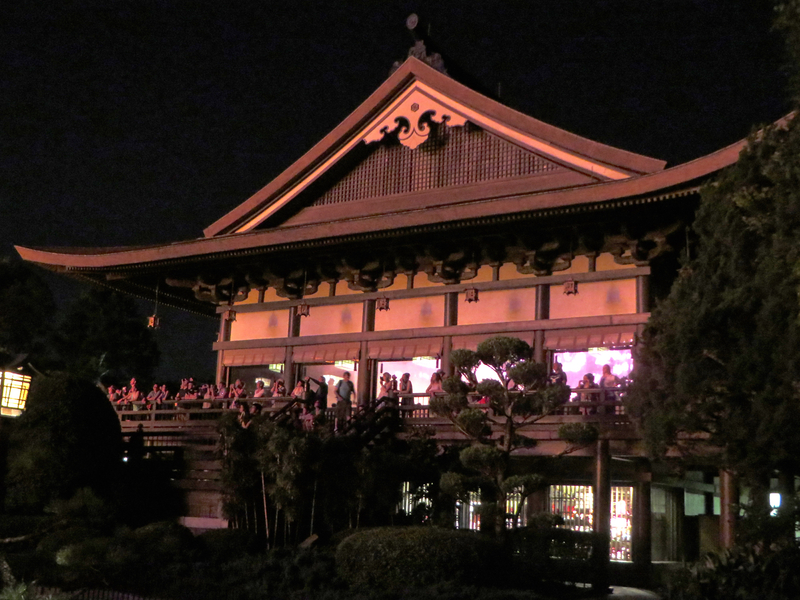 As you can plainly see, the Japan pavilion is one of my favorite places to visit when I'm in World Showcase. I still consider Japan a must see spot in Walt Disney World. It's friendly, inviting, and more open and spacious than most of its neighbors. There's plenty to see and do for everyone in your traveling party. The kids will love it. The adults will love it. Stop in and wander around the gardens. Watch the drummers. Have some ramen, some sake or some Kakigori—shaved ice with fruit flavoring. It's a wonderful spot to watch Illuminations, especially on that second floor terrace above Mitsukoshi, or out by the lagoon in front of the Torii gate. The cast members, especially the ones from Japan, are some of the warmest, most sincere people you will ever meet. It's everything a World Showcase pavilion should be and then some. Next time you're passing through, or you have a reservation at Tokyo Dining, make sure you allot enough time to really soak it all in. You won't regret it. That's all from Japan. Next time we move on to another big favorite of mine, Morocco. 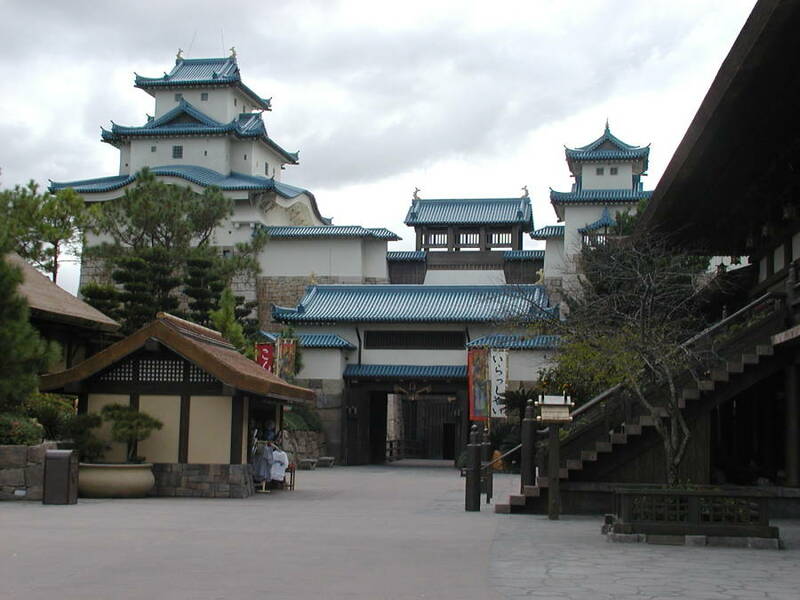 Until then I'd love to hear what you have to say about Epcot's Japan pavilion. Click on the link below, share your thoughts and I'll see you next time with another Disney Top 5. Hi Chris! Love your articles. I am surprised you didn't mention the pearl bar in the centre of the store. It is pretty much a floor show as much as anything else in World Showcase. We always end up buying a couple of oysters to have the ladies there crack them open and measure them for all to hear. Great fun! I do love the pearl bar, it's a hoot to even stand by and watch, but I'm always attracted to the less obvious when it comes to Walt Disney World, especially in a place like World Showcase. It'd be hard to miss the fun of the pearl bar, but I like delving a little deeper!